The Complex Lives of Nonvoters : The Picture Show While many Americans are enthusiastic about voting in this year's midterm elections, a majority are unlikely to. Photographer Andrea Bruce traveled the U.S. to find out why people choose to stay home. Recent polls suggest that many Americans are enthusiastic about voting in this year's midterm elections. But a majority of Americans are unlikely to vote on Nov. 6. And while there are barriers to voting, there are also tens of thousands of people who could vote, but have chosen not to. For the past 15 years, photographer Andrea Bruce worked as a photojournalist in foreign countries that were at war or were in conflict. Places like Iraq and Afghanistan, where elections were often accompanied with corruption, sacrifice, protests and, often, death. Now Bruce has been traveling throughout the United States to document why some voters won't cast their ballot this year. 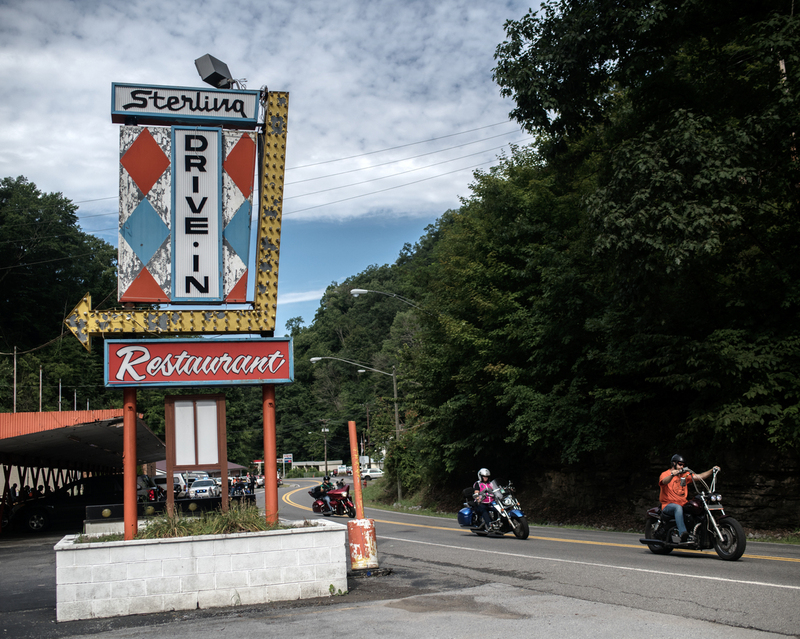 View of the Sterling Drive-in Restaurant. Only a few restaurants and businesses are still running. A couple of years ago, the closest Walmart shut down, and now there's hardly anywhere locals can buy fresh produce. "Welch is known for supporting Trump during the last presidential election and for its voter turnout rate, which is the lowest in the state," said Bruce. "And West Virginia has the second-lowest voter turnout in the nation. People are tired of seeing journalists. I saw one Trump sign. When people were willing to talk about elections, they did it with a shrug." (Left) A resident of McDowell County at a rehearsal of the play Terror of the Tug, at McArts Amphitheater, next to Mount View High School. The play is about the coal wars and massacre of Matewan in the 1920s. (Right) Beyond a post office, a movie theater, a small pharmacy and a couple of county offices, most of the storefronts in McDowell County are closed. McDowell County residents rehearse Terror of the Tug. 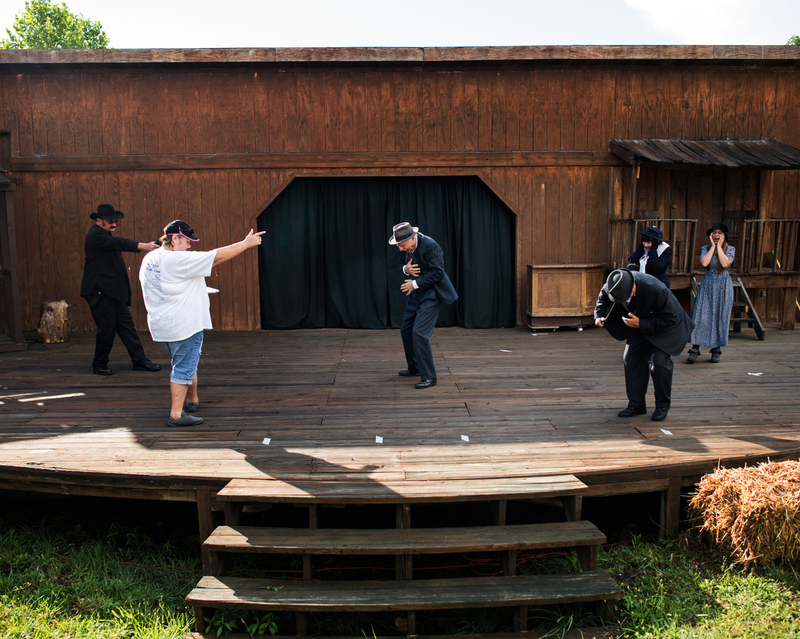 The events depicted in the play were a notable part of West Virginia's history. 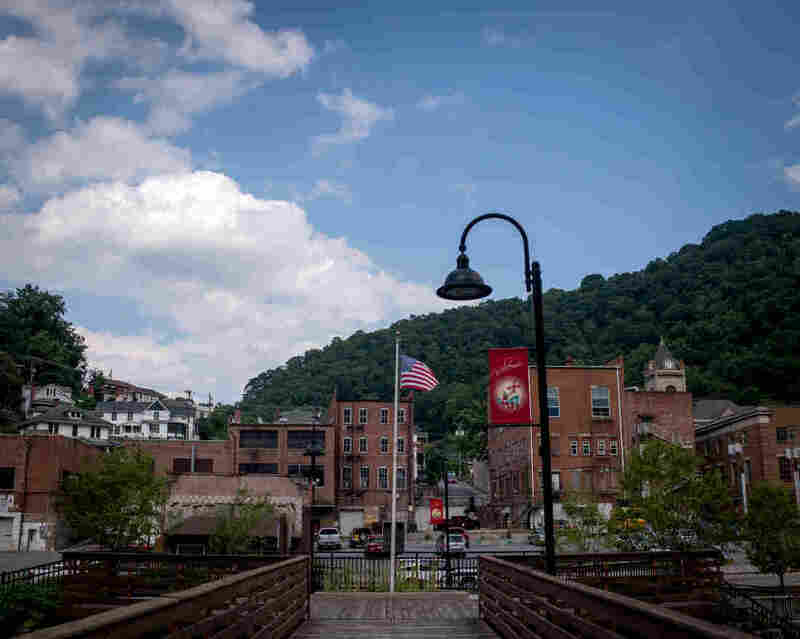 "Coal is still king in Welch, but I didn't see any miners," said Bruce. "Only retired miners and remnants of the pride that comes from a town formed by the sacrifice of a dangerous and difficult job that sometimes brings money with it." A view of downtown Welch. 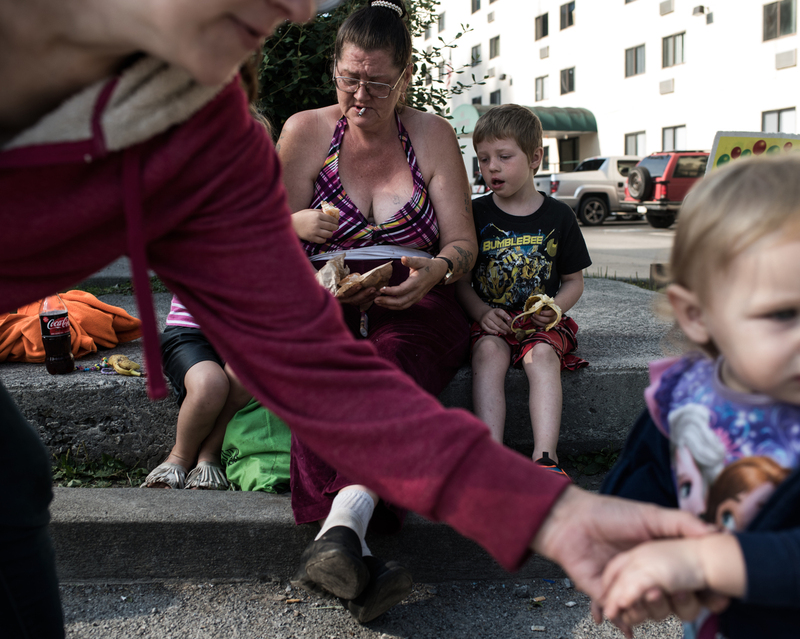 Teresa Baker sits with her grandchildren, James Rose, 4, and Adeline Steele, 18 months, whom she cares for. She says she doesn't vote. "I don't have time for that," she said. 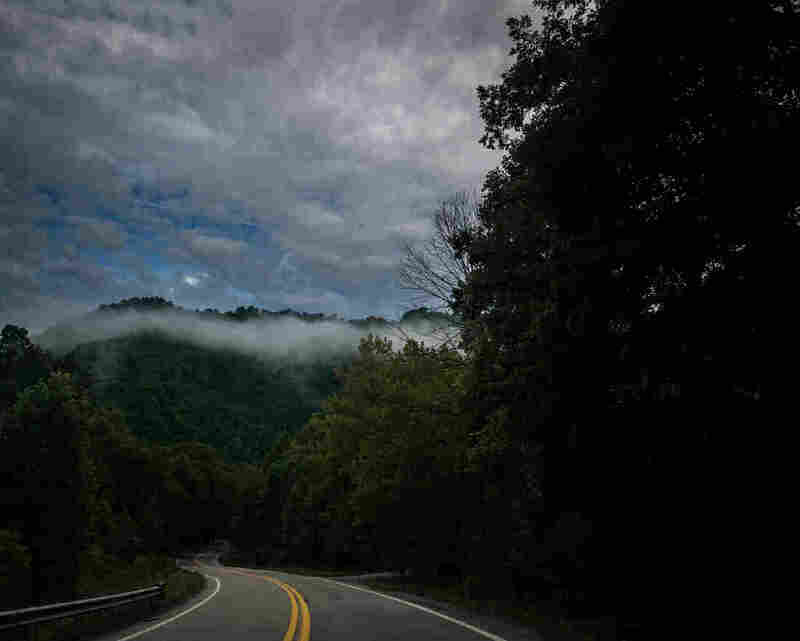 Deep in the Appalachian Mountains. Bruce met Gloria "Gigi" Johnson at a Sunday church service at Agape Outreach Ministries in Warner Robins. Johnson had struggled with hard drugs most of her life, gone to prison, let her mother raise her children. And now, much later in life, has realized her purpose, Bruce says: Johnson is a pillar of her community. "Her neighborhood depends on her for leadership. She carries voter registration information with her in her car, to promote voting in her neighborhood. 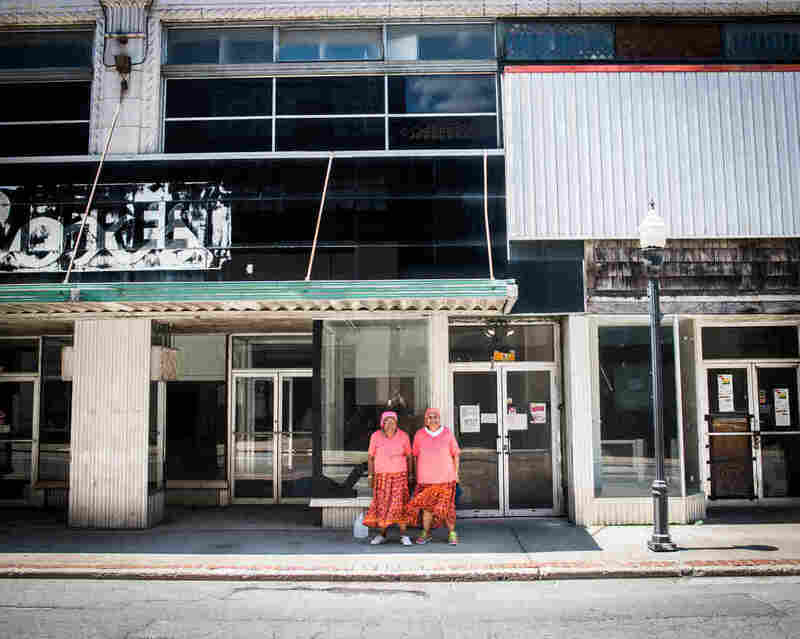 She said many people there are like her — they did time in prison and they don't realize that in Georgia, they are still allowed to vote." 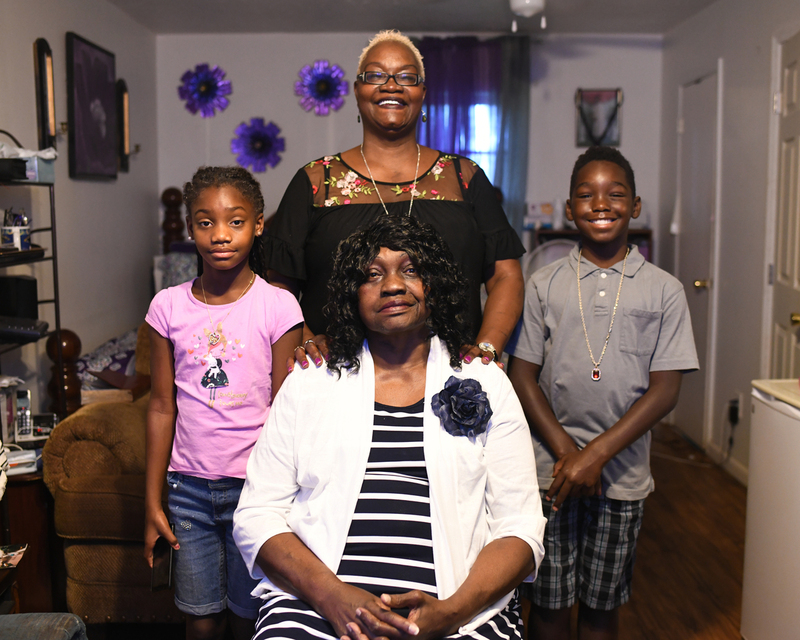 Gloria "Gigi" Johnson is the caregiver for her mother and two grandchildren. Johnson is a pillar of the Warner Robins community and promotes voting in her neighborhood. (Left) Middle Georgia, where the town of Warner Robins is located, is one of the top regions in the U.S. where people don't vote. (Right) Abandoned furniture is piled outside an apartment complex that once provided housing for Robins Air Force Base. "My first goal is to get lost and talk to people along the way," said Bruce. "I pay attention to the quality of the roads, access to public transportation, how trusting people are with each other and what people want their daughters to grow up to be." 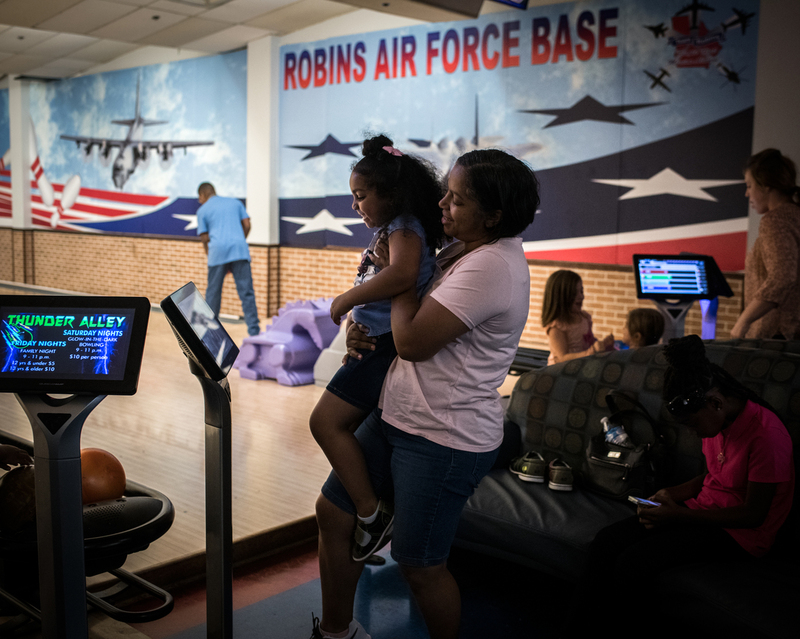 Laura Curtis and her 4-year-old daughter, Jazmin, bowl on the Air Force base. Curtis does vote, when she has time. (Left) Kevin Wade says he always votes. (Right) The church community gathers for worship on Sunday. The people at the service wouldn't comment on whether they vote. 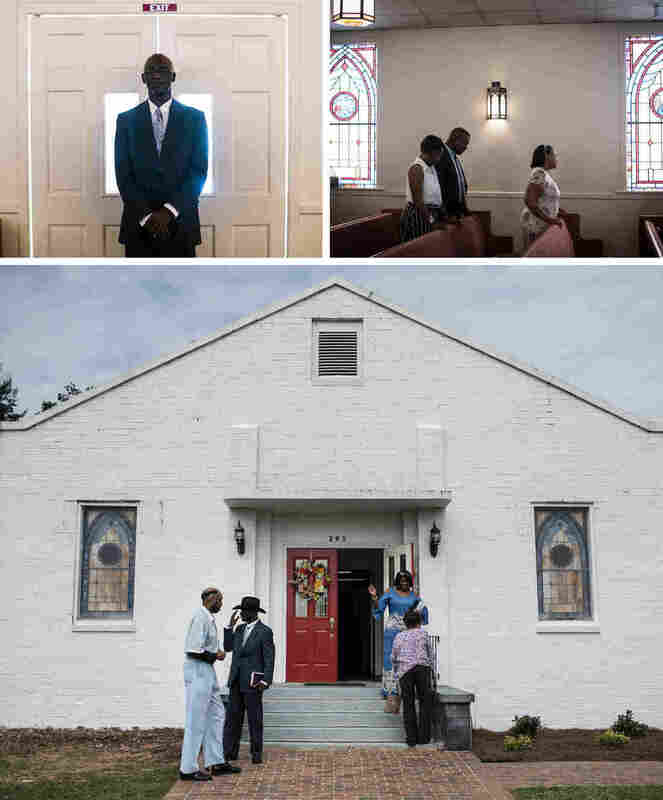 (Bottom) Agape Outreach Ministries holds Sunday church service, in northern Warner Robins. "The town of Warner Robins is home to Robins Air Force Base, which is alive and well, and mostly employed by local civilians. But half the town appears dead — dead stores, roads, apartments and restaurants. The town doesn't know how to keep their young people, they say." 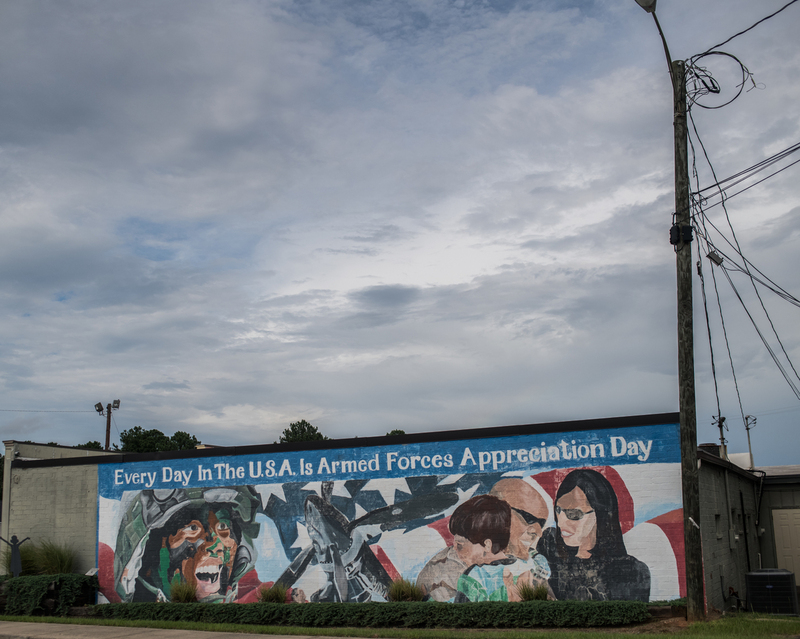 Students from Warner Robins High painted this mural celebrating the armed forces in 2010, updating the town's slogan, "Every Day In Middle Georgia Is U.S. Armed Forces Appreciation Day." "El Paso is by far the most populated of the places I visited for this story," Bruce said. "People are open about whether they work in the U.S. or are a citizen. But when I asked people on the street about whether they vote, they became scared and no longer wanted to talk. I recently lived in Mexico City and can understand this reaction. There, your vote can show loyalty to cartels, gangs or the parties within the government. Voting was a not a subject people often wanted to discuss." (Top) Sacred Heart Catholic Church, in downtown El Paso, during a service. The people at the service wouldn't comment on whether they vote. (Bottom left) Street art portrays the sister cities of El Paso and Juárez, just across the border. 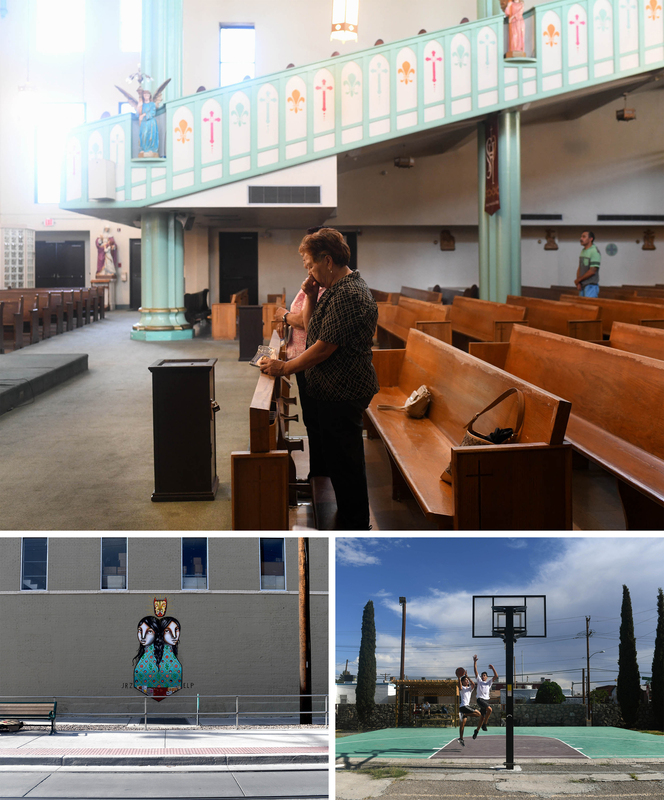 (Bottom right) Diego Ramerez (left) and Daniel Sanchez (right), both 16, play basketball in downtown El Paso at their school, the Lydia Patterson Institute. 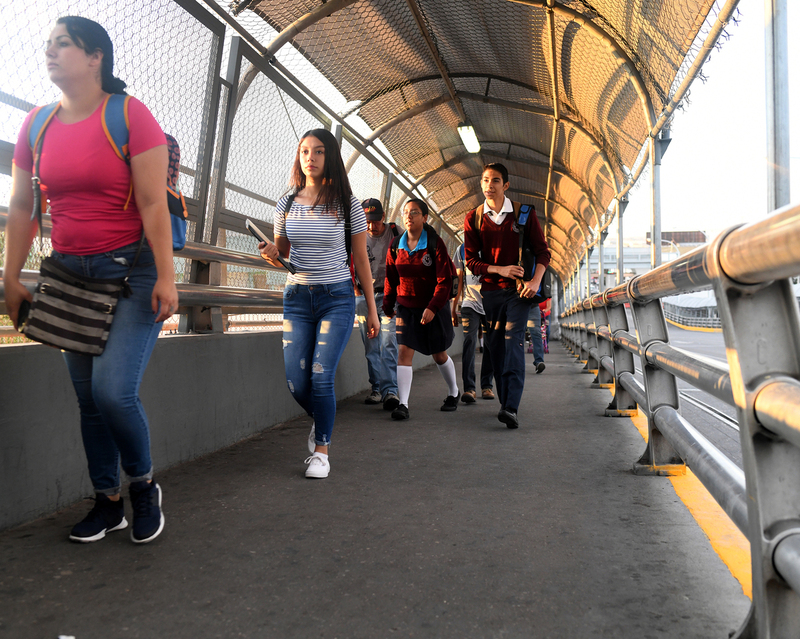 Students and workers cross the border from Juárez into El Paso. This is a morning routine for hundreds every day. Bruce met many nonvoters on her journey around the U.S., where "tensions were running high but there was also a severe lack of involvement or interest in civil society." The Bowie Bakery is a well-known, traditional establishment in El Paso. 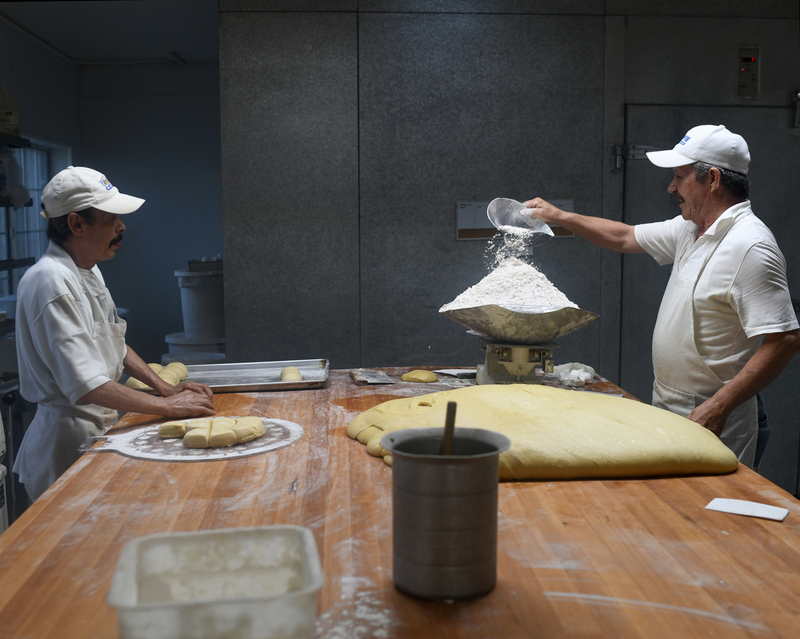 Most of the older bakers working here, like José Lechuga (left) and Pablo Ornelas (right) are residents of the U.S., but they are not citizens and cannot vote. (Top) Flowers decorate the window of an apartment. (Bottom left) A woman sells food on the U.S. side of the border. She is a U.S. citizen, born in Mexico. She said she was too scared to talk about whether she votes. (Right) El Paso is seen from the border. Thousands of people cross both ways over the border every day. A majority live in Mexico but work or study in the U.S and cannot vote. 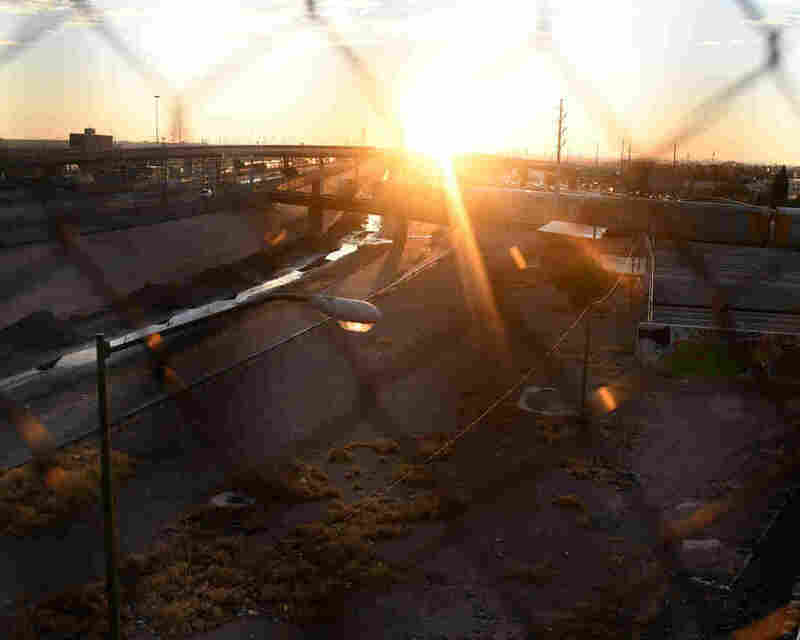 A thin portion of the Rio Grande marks the U.S.-Mexico border in El Paso, which despite being the largest metropolitan area on the Texas border has low voter turnout. 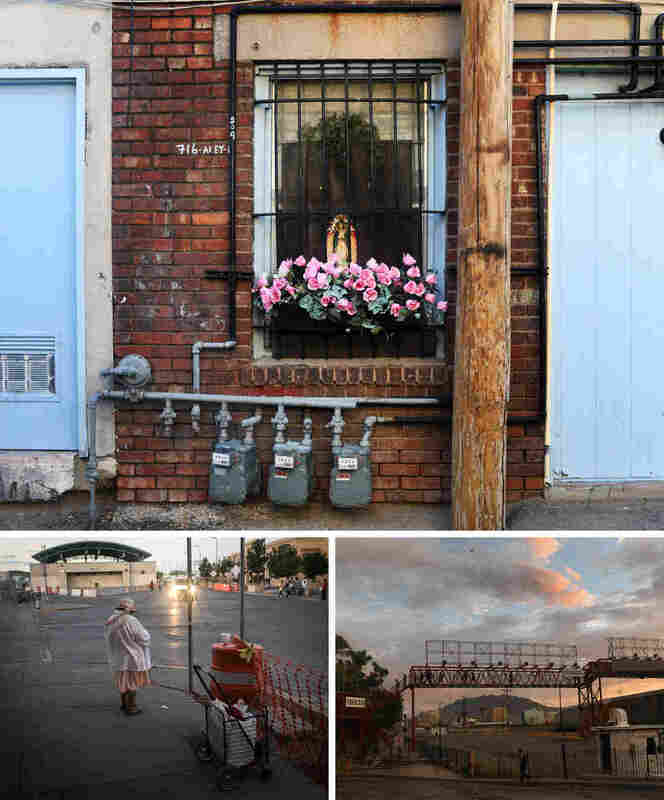 Andrea Bruce is a documentary photographer. Her project "On Democracy" was supported by a CatchLight Fellowship in partnership with the Pulitzer Center on Crisis Reporting.